ycombinator – How to Shape Human Behavior. 00:01:13 Take all advice as directionally good guidance, meaning that it will lead you in the right way, but every business and situation is different, so don’t assume that what worked for someone else will automatically work for you. 00:01:26 To launch a startup you need to have a lot of compressed time in your schedule (1-2 days uninterrupted) where you can really dedicate yourself to its success. 00:03:20 When you launch your company, you really should initially launch on a major website such as through Tech Crunch to get your brand and product in front of a ton of new people who can then become customers or reveal ways to improve your business. 00:05:44 Popular advice for disrupting an industry is to have absolutely NO experience going into the industry, that way you see everything with fresh eyes. But a more practical approach would be to begin as a cog in the industry and conduct research by learning until you become a sort of expert. 00:09:58 Next you should identify all relevant customer segments and the products they are using and know what they all have in common that you can build your business on, but then also optimize your product for one specific customer segment so you can focus your marketing efforts on making that niche customer segment loyal before expanding. 00:10:40 Before you write any line of code or begin creating your product you should storyboard the ideal user experience to solving your problem from the first point of contact through to after-sales support. 00:11:52 Having done all that, now you create your Version 1: Minimum viable product. Viable is extremely important here because many startups simply launch a product with one special feature. Ideally your product or service should have the smallest feature-set possible that solves the problem you’re trying to solve and that people are willing to pay for. 00:12:48 Alongside your minimum viable product you should also have your product positioning down, that way you can clearly and concisely explain to potential customers precisely what your product is and what problem it solves. You should be able to fit your product positioning into one sentence. This one line is paramount to the success of your pitch and catching the person’s attention. [EDITOR’S NOTE: For more information on exactly how important your pitch introduction is, watch the video How Can I Introduce My Pitch So Investors Want To Invest In My Brand? 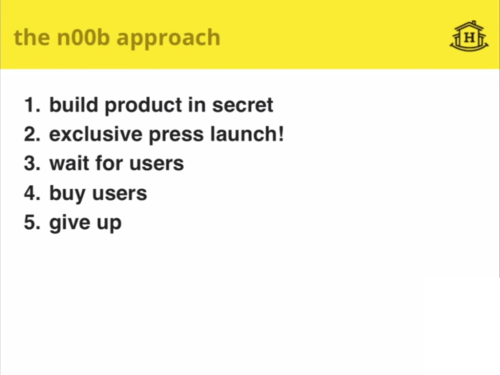 00:14:08 You are now ready to find and get user feedback from your first few users. Start with the people in your immediate circle who already know and trust you. Going from zero to one to three to four first customers you will likely have to get out from behind your desk and actually meet people face-to-face on the street where your target customers usually go. 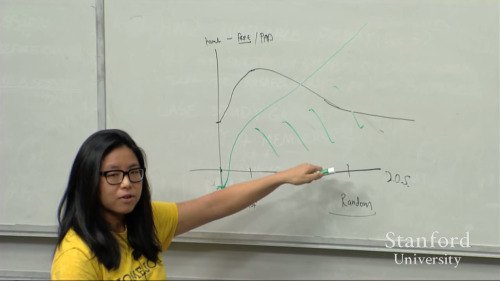 In general, people only respond if they really love you or they really hate you, So you want to get the person to a point where they feel comfortable talking straight-forward with you about the strenghs and weaknesses of your product, but be beware of the honesty curve as people tell you what they think you want to hear about your product or service. For FREE products, the closer that person is to you, the less honest they will be and the more ‘white lies’ they will tell, or the more they will avoid critiquing your product or service. The farther away from you they are, such as strangers you cross on the street, won’t really care about you and are likely to answer your questions half-heartedly. For PAID products, the closer they are to you, the more likely your close friends and connects are to lie about their satisfaction with your product, however the farther away that person is to you, the more honest you can expect their feedback to because they have put money into your product, and so expect improvement. Meaning, you get more reliable feedback from paying customers than from free users, so if you’re offering a product that you eventually plan on selling, you want to get to that point as quickly as possible. 00:20:00 Customer retention is one of the best ways to track how well your product or service is doing: how many new customers came in the door today? How many came back the following day? The day after that… etc. As your business grows, you will pay more attention to monthly retention rather than daily retention. But obtaining this information is slow and time consuming, and a problem when you are still in the product development and refinement phase. A quicker way is to pay close attention to customer ratings – how many star reviews are they giving you on the app store, on your website, in your surveys, etc. Your reviews and customer retention should be going up over time. If your customer retention isn’t really moving up or down, then you should probably return to learning more about your customer demographic and what new features you could add to attract more people and make your current customers want to share you. 00:24:38 Process is very important; especially as you scale and grow. So do things manually before you automate them. By manually doing it yourself you understand how best you can automate what needs to be automated. Automate too quickly and you may lose control of your branding and customer relationship as well as knowing the best and most effeciency questions to ask and points to address in the automated process. For example, if you’re accepting job candidates, conducting a hundred face-to-face job interviews will give you a list of the top 10 most reliable questions for determining whether or not the person is a high potential candidate, whereas simply automating your questions from the start you’ll never realize that you’re asking the wrong questions. 00:26:32 Temporary brokeness is much better than permanent paralysis. During the minimum viable product launch and refinement stage, perfection is irrelevant until you have found your product that people are willing to pay for and share with their network. It is during your growth stage that you start worrying about perfecting your product or service. 00:27:19 So you’ve gotten honest and reliable feedback from a lot of users; avoid the temptation of going home and simply making all the modifications the users told you to and then showing the users your modifications the next day. Instead, get to the bottom of why users are asking you to build a particular feature. Their feedback could be a symptom of a larger, unrelated problem, or a smaller problem such as a lack of understanding of how to correctly use your product. Piling on a bunch of additional requested features could in fact be hiding the main problem altogether. 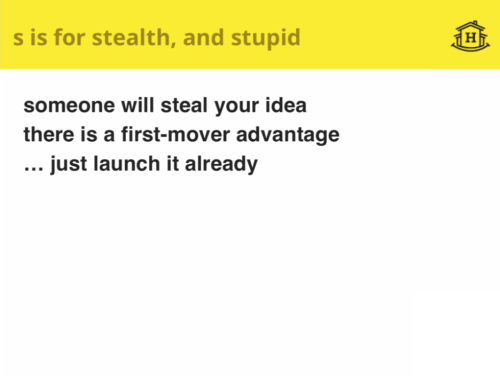 00:28:21 No matter when you launch, if you have a really good idea, someone is going to steal it. It’s inevitable and unavoidable. Unless you’re building something that requires tens of millions of dollars to start, there is no point in waiting around and keeping it secret until the last minute. 00:29:40 Don’t spend all your time and money advertising across multiple channels; focus on only one channel at a time. For example, spend 200€ and one week advertising EXCLUSIVELY on Facebook, gather the results, and then move on. Doing so you are more able to test that channel and determine whether or not it is the correct channel to continue focusing on. 00:30:46 Once you identify channels and strategies that work, continually repeat them. Over time, you should periodically revisit to your originally failed channels and try again, this time with your lessons learned. It’s possible that at that point in time your marketing on that channel failed was because your brief moment of channel-testing may have coincidentally coincided with a large marketing push by a more financially-backed competitor, which may no longer be the case. 00:33:00 Sustainability is the key to growth, and your objective should be to maximize ROI with your marketing spending so that as little money that is put into marketing as possible is lost or wasted. Customer Lifetime Value (CLV) analysis: the net revenue a customer brings into the door for you over a certain amount of time: 3 months, 6 months, etc. Retention Cohort Analysis: The percentage change over time between two measurements: For example the number of first time website visits and the month, or the amount of page visits for men versus the amount of page visits for women. 00:38:52 Viral growth also requires a superb and addictive experience, but also include something that makes them want to share your product with their friends. Additionally, you need an easy way for those people who want to talk about you to talk about you. At the top of each page? Hidden at the bottom of each page? Right after the person signs up? After the person has had a chance to use your product? 00:46:36 Pivoting. Have a growth plan when you start out, and at an early stage you should always be growing, but once you realize that you cannot grow, or that despite building out all these great features and getting user feedback people just aren’t paying or sticking around, or the business model economics doesn’t work, then you need to be able to accept it and move on or adapt your existing idea. 00:50:18 There is always a switchover cost of convincing customers to use your product instead of what they’re already familiar with and trust. Focus on finding the moments where your product is very much better, or very much differenciated from what their existing solution. Once those consumers start realizing all the little advantages you offer, they will eventually turn into big advantages, and the consumer may eventually abandon their current solution for yours. 00:01:13 With AltaVista in the 1990′s to win at SEO, all you had to do was have white text on a white background with all the keywords and you ranked number one on search engines. It was a really easy skill to learn. Then came Google which ranked you based on algorythms, pageranks, inbound links, etc. But even in the early days simply having a listing on the Yahoo! directory got you to the top of Google searches as well. 00:02:26 A good product leads to customers, but you need those customers to stay on your site – retention. 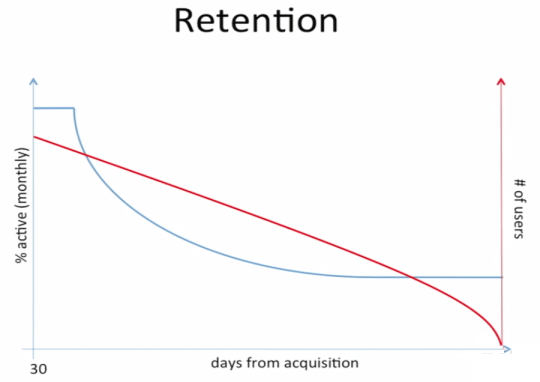 Retention is the single most important thing for growth. Of course your monthly users will be 100% because they paid for the month. But what happens on the first day of the next month? The second day? How many of your users actually continue to use your product? As long as you have a retention curve of % monthly active (Y-axis) versus number of days for acquisition (X-axis) which is parallel to the X-axis, you have a viable business and a viable fit for at least some sub-set of a consumer market. What does good retention look like? Different businesses need different retention rates, so there is no one universal ‘good’ or ‘ideal’ retention rate. Look at your competitors’ rentention rates and then compare your retention rates to them. Retention comes from having a great idea, having a great product to back up that idea, and then having a great product-market fit. 00:06:19 The number one problem I’ve seen inside Facebook for new products is that they don’t actually have market fit when they think that they do. 00:11:03 If you’re a startup, you shouldn’t have a growth team; the whole company should be your growth team. 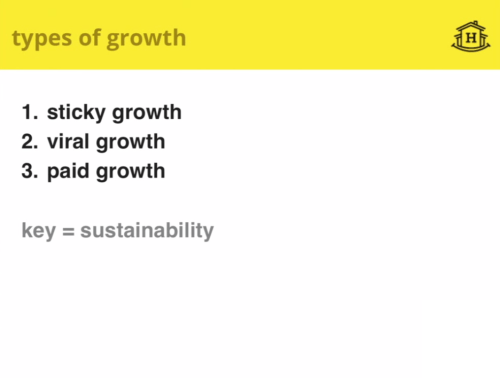 You, the CEO, should be the head of growth. 00:12:12 If you’re a messaging application, then the total monthly number of ‘sends’ is should be your most important number. If your users are only clicking ‘send’ on you application once a day, then your application probably isn’t their primary messaging system. 00:13:30 The second you have more than one person working on a project, you can no longer have 100% control over what everybody else is doing. And the thing is that it’s not always clear what the most important thing is for the company – the north star – the one thing that the company measures success by. Of course a lot of your metrics will overlap: Daily Active Users will be pretty close to Monthly Active Users, Total Amount of Content Shared is also highly correlated to how many users there are because new users share new content. So you need to choose the deepest metric to be that one ‘north star’ metric that aligns with your company’s mission and values that you can focus on for the next few years and that guide your decisions. 00:16:32 How do you drive visiters to that magic moment when they become hooked on your service? With Facebook – as with EVERY other social media site – is connecting with your friends. That magic ‘Aha!’ moment is seeing that first picture of one of your friends already using the site. For Ebay it’s when you find that collectors item you’ve been looking for. For AirBnB it’s when you see a beautiful house, rent it, and then physically walk through the front door. On the rentor’s side of AirBnB it’s receiving your first order confirmation. Think about what the magic moment is for your product, and then get people connected to it as fast as possible so that people come, sign-up, and then stay on your site. Then base your retention analytics around this and work on improving your retention rate. 00:10:50 When you are optimizing for growth, the people who are already using your product all the time are not the ones you have to worry about. Therefore it’s not always necessary to optimize for notifications (email updates that are automatically sent every time someone in a group updates an event – a new comment, uploaded a new photo, commented on your photo, etc.). Your power users are probably grown-ups and saavy enough to know how to use filters. What you need to focus on is the marginal user – that one person doesn’t receive any notifications in a given day or month or year. If you’re running a social media site, then a low number of notifications probably means that that user isn’t connecting to their friends quick enough, and therefore won’t experience that magic moment you want them to to hook them on your product. For more, read the book Viral Loop by Adam Penenberg and Ogilvy on Advertising. 00:23:00 Assuming you’ve created a product that dominates all other products/services in your market, don’t just believe that the world will start banging your door down for your superior product. This is where marketing comes in. 00:23:42 Internationalization. One of the biggest barriers to long-term growth is language and dealing with competition that is growing up in other languages around the world. Facebook originally begin as a university-only access, so each university was a barrier. Facebook’s decision to expand beyond universities to high schools was a shaking moment for Facebook as they questioned whether the site and its culture could survive. Again, Facebook’s expanding to everyone was yet another shocking moment for the company as their user-base exploded until they finally ran into a brick wall of 100 million users. This was when Facebook’s growth team was set up and and we chose to focus on 10 friends within 14 days metric as the North Star to guide the decisions that would continue to grow Facebook. To grow Facebook outside of the English language, we took the time we needed to build a site that not only Facebook translated, but also users could translate themselves through our community translation platform. Facebook was translated into French in 12 hours. 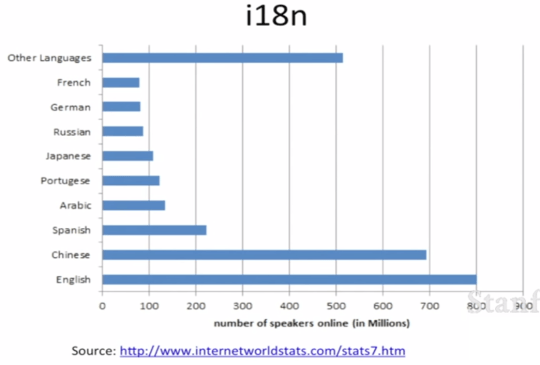 Today Facebook is in over 120 languages, 80 of those were translated by the community of users. Next, we prioritized the languages by focusing in the big six: English, German, French, Italian, Chinese and Spanish. But today Italian is no longer a top, and French and German are quickly disappearing. 00:27:20 Building for where the world is today is an easy mistake to make. Instead, take the time to build for a scalable and adjustable product that allows you to move with the population. Payload – how many people can you hit with any given viral blast? Frequency – how many times cany you hit them? Conversion rate – how much does it take to convert them? Hotmail created the first brilliant viral compaign of its time by including ‘Email sent from Hotmail, get your free account here.’ to the bottom of EVERY email sent through their service. Today these email and social media providers allow you to import your entire email database and shoot them an email in just a few clicks. Likewise, Paypal has both the buyer- and the seller-side to it. It’s mechanism for viral growth was offering money-back for people who sold on Ebay, and offered a ‘Sign up and get $10.’ Who wouldn’t sign up for it? 00:34:20 With virality, aim to remove as much friction from the flow as possible. Advertising online means people don’t have to see your billboard, remember your website, logon, find the register button, and then sign up. 00:34:38 Frequency and conversion are related in that the more times a person sees your ad, the greater the chance of recalling your brand in the future. However, it’s shown that the more times users see the same banner advertising, the less likely they are to click on the ad. This is why you should campaign with multiple banners. 00:39:50 Next, build pagerank through valuable inbound links from high-authority websites and then distribute your link load internally so that Google’s bots don’t have to search very long or deep to find out if your website is relevant to a user’s search command. 00:41:40 Email is dead for people under 25 years old. Under 25s use WhatsApp, SMS, SnapChat, Facebook, etc. Consider how often you yourself use email versus other communication platforms. 00:42:38 If you spam consistently, your email will end up in spam and your email marketing will fail completely, your email will end up being blocked and your email will be bounced. Once email companies file you under spam, it’s very hard to get out. This counts for SMS and push notifications as well. So be respectful and focus on creating titles that convert. 00:44:47 The most effective emails you can do are notifications, not newsletters. For example, you receive a lot of likes because you have a lot of Facebook friends. As a frequent user you certainly don’t want to receive a notification EVERY time someone likes or comments or uploads a photo. But for new and low-engaged, users those notifications are magic moments that turn the person into a loyal user. What notifications you should be sending is the first thing you must think about.